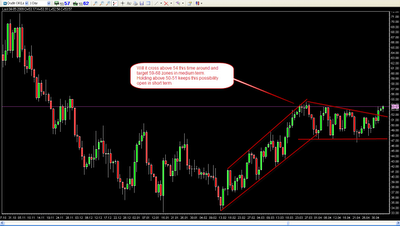 Crude can it move beyond 54 !! The next big move is possible in crude if it stays above 53.5-54 for a couple of sessions expect a move to 59-68 in medium term. Till its above 50-51 the possibility remains open. 46-47 on downside is important support.